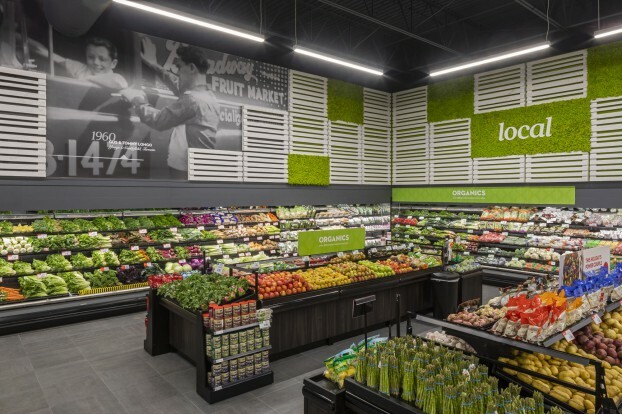 Longo's has transformed its suburban format, opening a new store in Stouffville, Ontario, the chain’s 33rd location and Canada’s first sustainable grocery store. Retail strategy and design firm Ampersand Studio Inc…click link to read more. 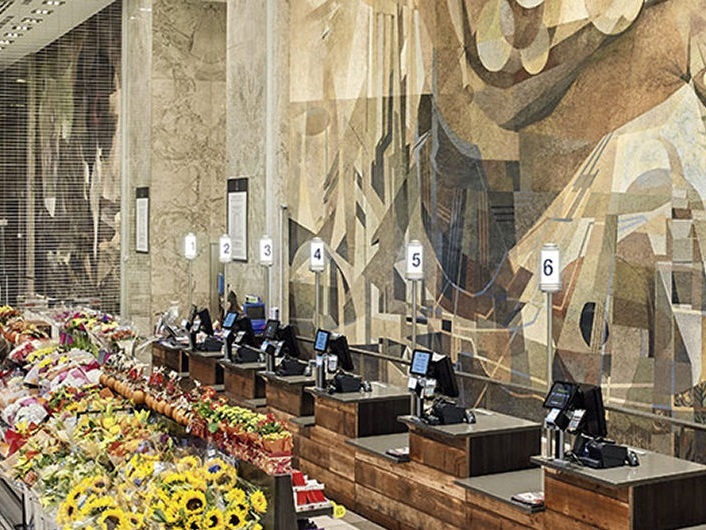 A welcoming, immersive environment inside this new sustainable supermarket is raising the bar on the grocery experience…click link to read more. The 40,000 sq. ft. store opened in Stouffville, Ont. on Nov. 1. Designed by Ampersand Studio, a branding and design agency in Toronto, the concept is intended to meet the needs of a time-starved shopper base…click link to read more. Ampersand Studio Inc., a retail strategy and design firm from Toronto, Canada redefines Island Fresh with the newly renovated Hurley’s store in Grand Cayman, Cayman Islands validating that design has a quantifiable impact on the experience...click link to read more. In partnership with Ampersand Studio, Hurley’s re-positioned itself as a place that celebrates food - international cuisines, local flavour and healthy options...click link to read more. Ampersand has been spearheading the brand transformation of The Market by Longo's for the past two years. Urban densification in downtown Toronto led the client to refresh its small urban-format stores, according to the Toronto-based design firm....click link to read more. From Nutella Cafés to cheese walls, here’s what some of the city’s stores have to offer...click link to read more. Longo’s Markets aus Kanada hat sein neues Kleinflächenformat in einem denkmalgeschützten Hochhaus in Toronto realisiert, das zum Kulturerbe der Stadt gehört…click link to read more. With its new concept, Canadian food retailer Longo’s shows there’s more to grocery design than aisles, checkout counters and endless shelves...click link to read more. Ampersand Studio evolved the well-known Longo’s brand to give it a twist for an urban audience....click link to read more. 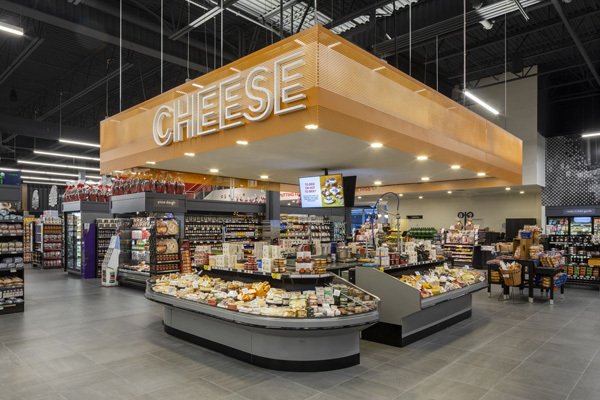 Canadian chain The Market by Longo’s has relaunched with an entirely new design and strategy, developed by Ampersand Studio...click link to read more. In a fancy food world, boring beige walls no longer cut it with shoppers. For stores looking to excite, a little artistic air can go a long way ...click link to read more. Toronto-based grocery retailer Longo's has opened an impressive 8,500 square foot 'Market by Longo's' store at Imperial Plaza on St. Clair Avenue, between Yonge Street and Avenue Road. The beautiful store features 24-foot ceilings and is located at the base of an iconic former office building that was recently repurposed for upscale condominium residences. We are pleased to announce that our design of Hurley’s Grand Harbour, Cayman Islands has been shortlisted.